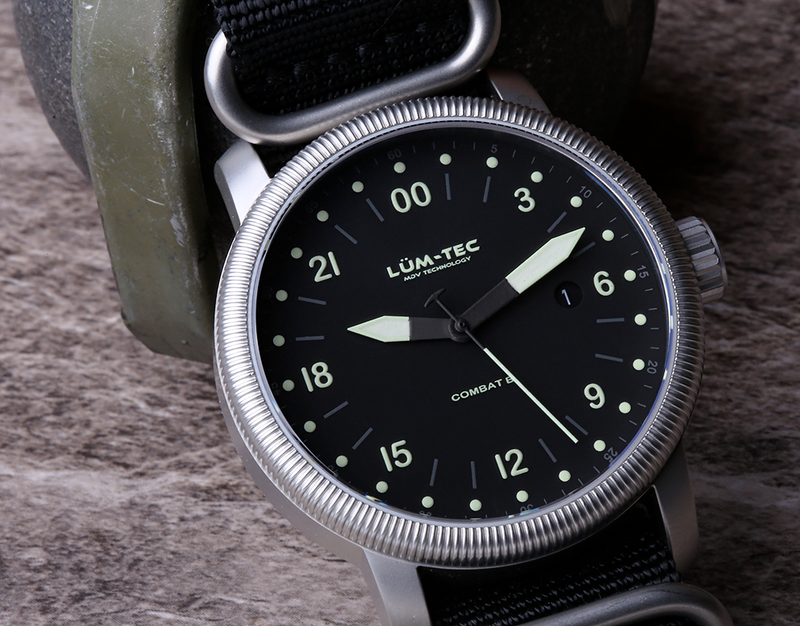 This Lum-Tec Combat B28 24 Hour Military Watch was part of a short batch of only 100 units ever made. It features a Swiss-made Ronda 515.24H movement which allows the non-standard analog single and independent rotation of the hour hand, as well as minute/second and date. The case is 316L stainless steel with a bead blasted finish. 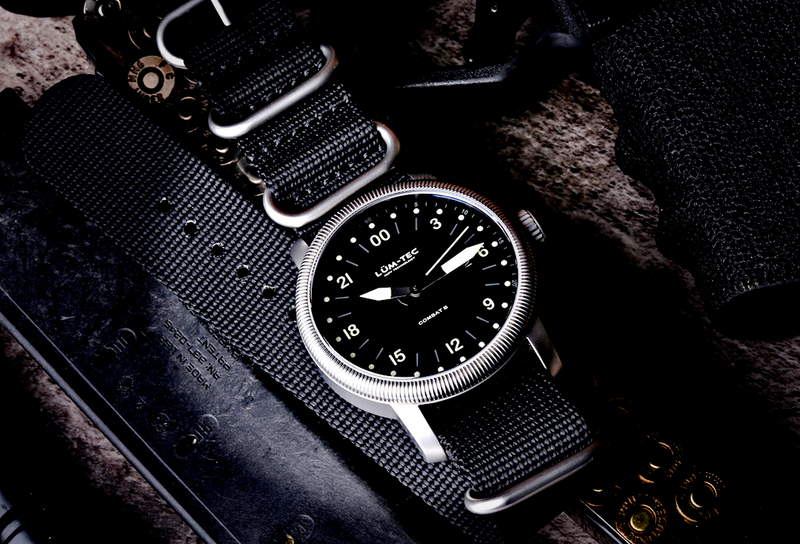 Sapphire crystal with anti-reflective coating and a Viton gasket allows the B28 to boast a 200m water resistance. 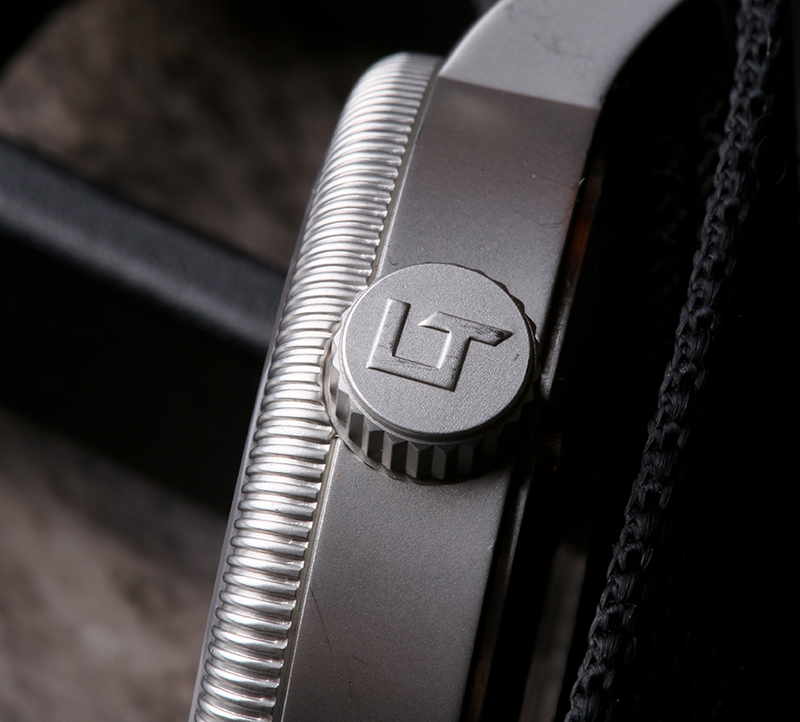 Overall case size is 43mm not including the crown and a 22mm strap lug width and the case is 13mm thick. 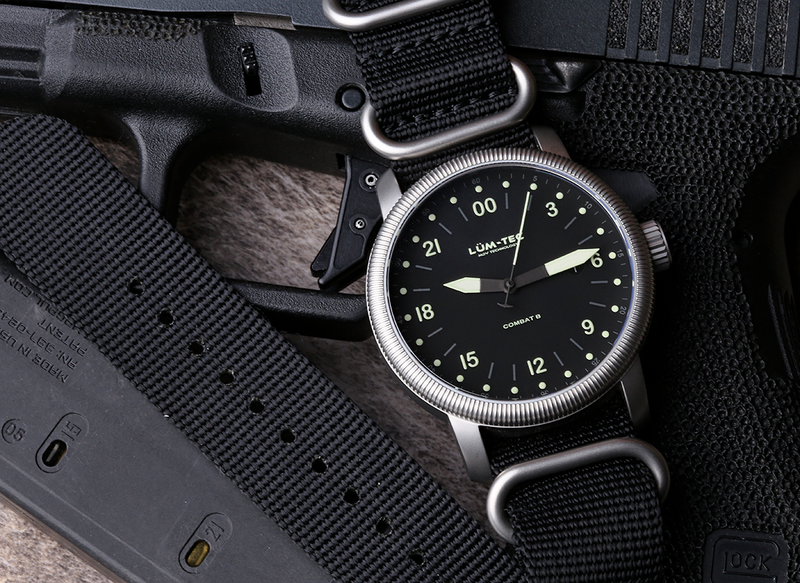 When the watch was released it retailed for a modest $475 which is an absolute steal for any Combat B branded watch. 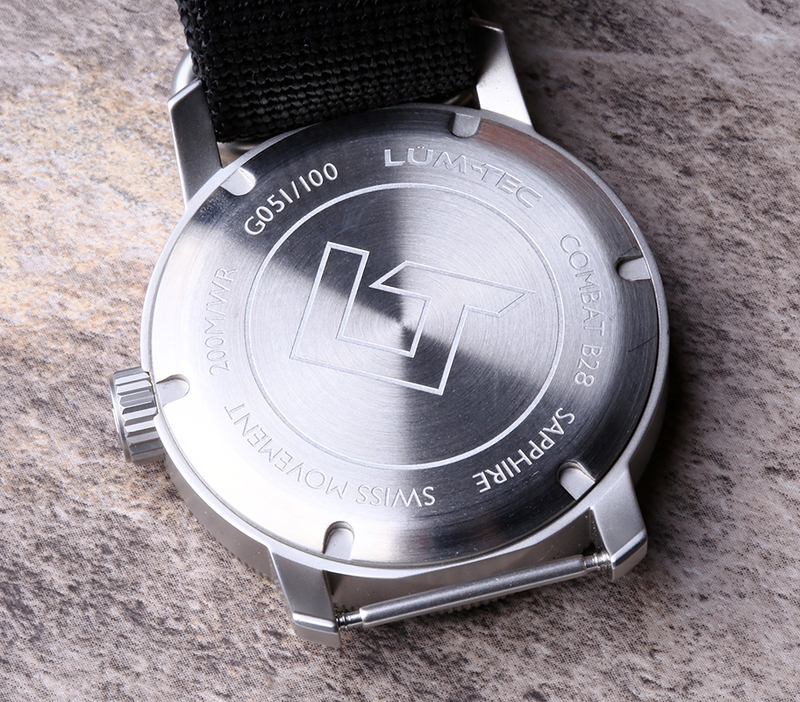 I received this watch from Lum-Tec for evaluation about two years ago. I was looking for a 24H dialed watch for a while. It is one of those niche watches that everyone who likes watches wants to try out. 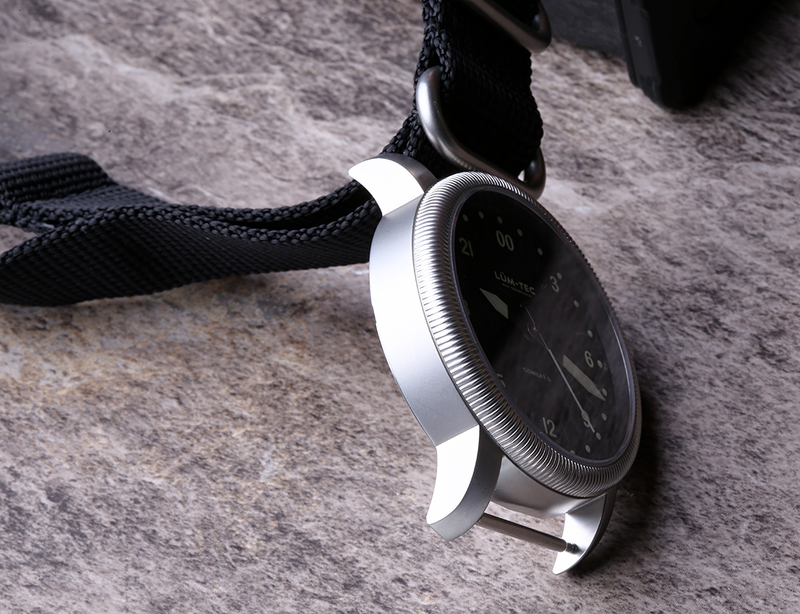 It has a very distinct appearance on the wrist, especially with the provided NATO strap . 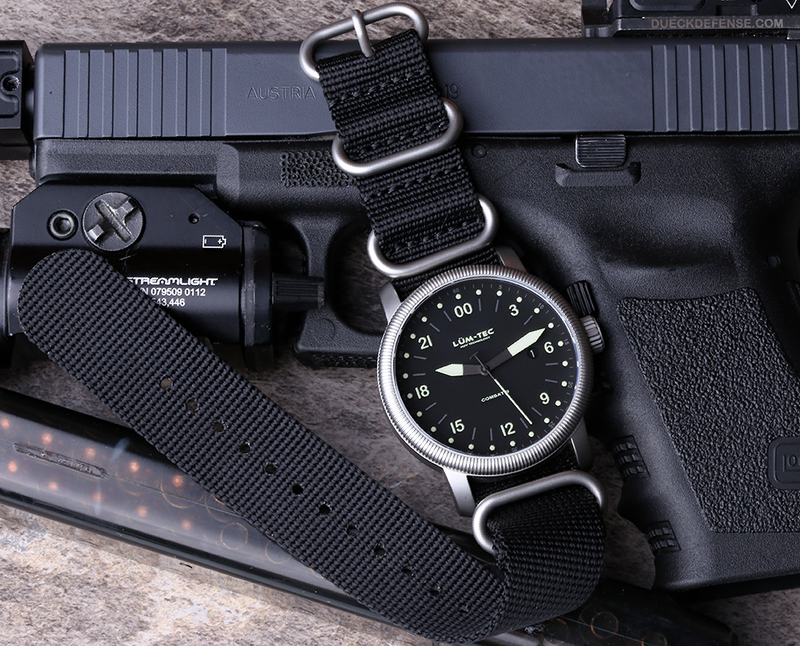 Really sets the "military watch" feel while keeping all the style elements which make the Combat B line appealing. Right away your eyes are drawn to the 00 at the top of the watch where the 12 should be, but now the 12 is at the bottom. Quickly you understand that you have to actually read the time by looking at the hour first and then the minute hand, unlike a traditional analog watch. The first few times I looked at it I read the time incorrectly and then had to look at the watch again to figure out what time it actually was. This passes after a few days and you inherently know what time of the day it is just by looking at the watch. If the hour hand is in the first half of the right side of the watch then you are in the AM, left side, in the PM. Not rocket science. It became very easy to read this watch after a few days. The dot indicators are luminescent just like the numbers and hands. Each dot and line represent an hour. There are seconds markers at outside of the dial representing every five seconds in case you need to time something. The Combat B logo is prominently displayed below hands, center. 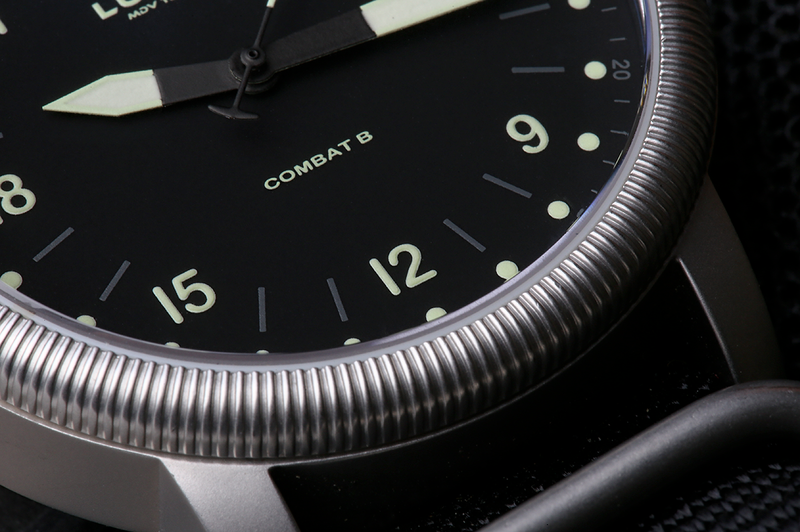 The bezel features the very distinctive Combat B design as well. After getting this watch when it was first released I wore continuously with the NATO strap until I put a Lum-Tec rubber band on it. I am not a fan of NATO straps but can see the appeal of them. I wore it that way for a little bit and then went back to wearing my B18 and LE Destro. The case back never once loosened up on me and was easily cleaned with a Clorox wipe after a hot summer day. The crown stayed water tight and never came loose even if bumped a few times more than gently. I wore this watch during a few water-based events its water resistance did not fail. The case did take a little beating and some very fine scratches were visible after its prolonged use during physical activities. The bead blasted finish helps in hiding them unless under a fine magnification. None of which has any negative affect on the watches functionality. 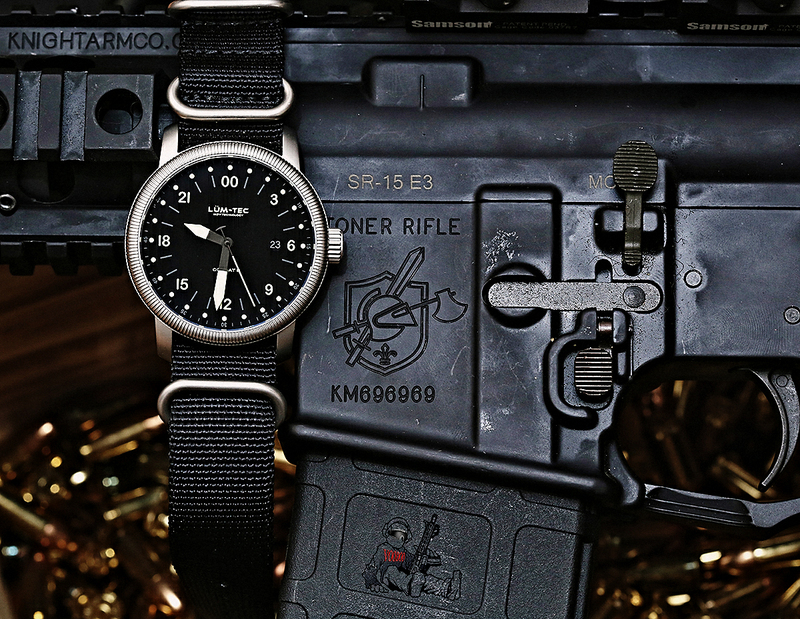 A Lum-Tec Combat B watch lives up to its name sake when used at night. It has a low profile appearance and will easily be covered by a long sleeve shirt or jacket, not snagging like other watches of the same design/size. 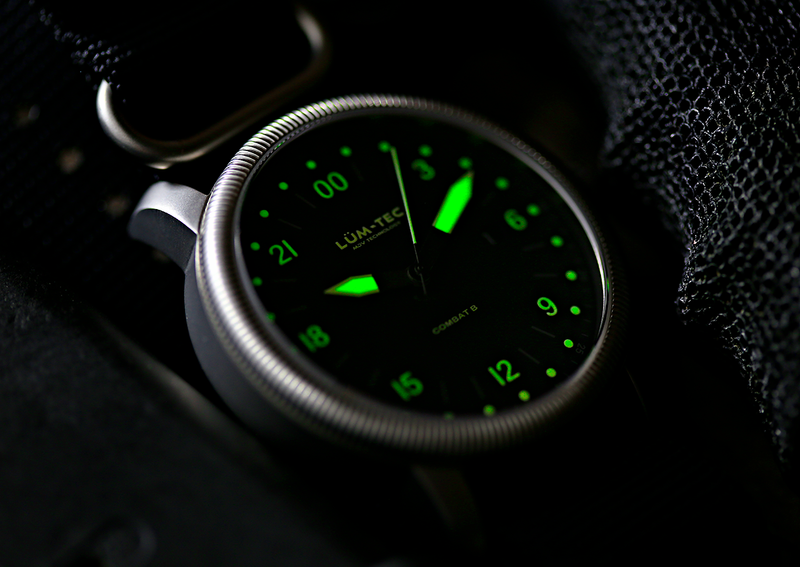 It would not be a Lum-Tec if it did not have a sustained bright green glow. This is something which is very distinctive to the Lum-Tec brand which features MDV (Maximum Darkness Visibility). This is a propriety mix which allows the most glow out of the least amount of charge (light). 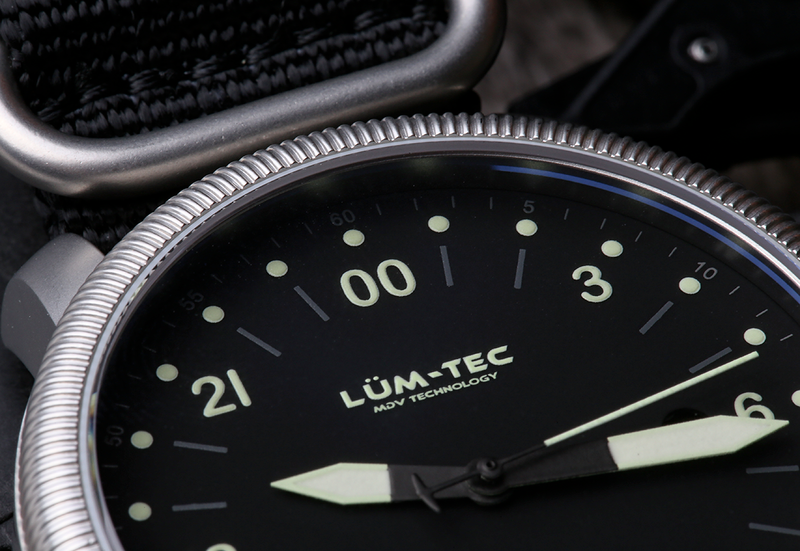 This is one of the biggest appeals of this watch and the Lum-Tec brand in general. Finished up a week of training at #ogara, sportin my #lumtec #b28 Good week. The Combat B28 24H is very unique in that it allows you have a full 24 hours on your wrist and you can know what time it is, at a glance. This is also something which any owner of this watch will have to overcome as you will undoubtedly look at it once in a while and think in the way you have always read an analog watch, thinking it is 10:10 when it is actually 7:10PM or 1910 hours. However, once you get used to this, it is a great niche tool watch which lives up to the Combat B name.